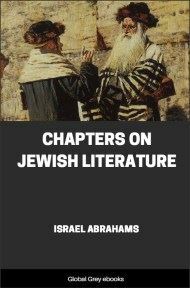 Chapters include: The "Vineyard" At Jamnia; Flavius Josephus And The Jewish Sibyl; The Talmud; The Midrash And Its Poetry; The Letters Of The Gaonim; The Karaitic Literature; The New-Hebrew Piyut; Saadiah Of Fayum; Dawn Of The Spanish Era; The Spanish-Jewish Poets (I); Rashi And Alfassi; The Spanish-Jewish Poets (II); Moses Maimonides; The Diffusion Of Science; The Diffusion Of Folk-Tales; Moses Nachmanides; The Zohar And Later Mysticism; Italian Jewish Poetry; Ethical Literature; Travellers' Tales; Historians And Chroniclers; Isaac Abarbanel; The Shulchan Aruch; Amsterdam In The Seventeenth Century; and, Moses Mendelssohn. 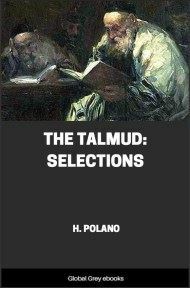 The story of Jewish literature, after the destruction of the Temple at Jerusalem in the year 70 of the Christian era, centres round the city of Jamnia. Jamnia, or Jabneh, lay near the sea, beautifully situated on the slopes of a gentle hill in the lowlands, about twenty-eight miles from the capital. When Vespasian was advancing to the siege of Jerusalem, he occupied Jamnia, and thither the Jewish Synhedrion, or Great Council, transferred itself when Jerusalem fell. A college existed there already, but Jamnia then became the head-quarters of Jewish learning, and retained that position till the year 135. At that date the learned circle moved further north, to Galilee, and, besides the famous school at Lydda in Judea, others were founded in Tiberias, Usha, and Sepphoris. The real founder of the College at Jamnia was Jochanan, the son of Zakkai, called "the father of wisdom." Like the Greek philosophers who taught their pupils in the gardens of the "Academy" at Athens, the Rabbis may have lectured to their students in a "Vineyard" at Jamnia. Possibly the term "Vineyard" was only a metaphor applied to the meeting-place of the Wise at Jamnia, but, at all events, the result of these pleasant intellectual gatherings was the Rabbinical literature. Jochanan himself was a typical Rabbi. For a great part of his life he followed a mercantile pursuit, and earned his bread by manual labor. 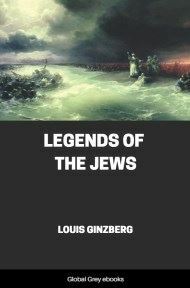 His originality as a teacher lay in his perception that Judaism could survive the loss of its national centre. He felt that "charity and the love of men may replace the sacrifices." He would have preferred his brethren to submit to Rome, and his political foresight was justified when the war of independence closed in disaster. As Graetz has well said, like Jeremiah Jochanan wept over the desolation of Zion, but like Zerubbabel he created a new sanctuary. Jochanan's new sanctuary was the school. In the "Vineyard" at Jamnia, the Jewish tradition was the subject of much animated inquiry. The religious, ethical, and practical literature of the past was sifted and treasured, and fresh additions were made. But not much was written, for until the close of the second century the new literature of the Jews was oral. The Bible was written down, and read from scrolls, but the Rabbinical literature was committed to memory piecemeal, and handed down from teacher to pupil. Notes were perhaps taken in writing, but even when the Oral Literature was collected, and arranged as a book, it is believed by many authorities that the book so compiled remained for a considerable period an oral and not a written book. This book was called the Mishnah (from the verb shana, "to repeat" or "to learn"). 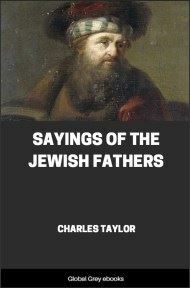 The Mishnah was not the work of one man or of one age. So long was it in growing, that its birth dates from long before the destruction of the Temple. But the men most closely associated with the compilation of the Mishnah were the Tannaim (from the root tana, which has the same meaning as shana). There were about one hundred and twenty of these Tannaim between the years 70 and 200 C.E., and they may be conveniently arranged in four generations. From each generation one typical representative will here be selected. First Generation, 70 to 100 C.E. Second Generation, 100 to 130 C.E. Third Generation, 130 to 160 C.E. Fourth Generation, 160 to 200 C.E. The Tannaim were the possessors of what was perhaps the greatest principle that dominated a literature until the close of the eighteenth century. They maintained that literature and life were co-extensive. It was said of Jochanan, the son of Zakkai, that he never walked a single step without thinking of God. Learning the Torah, that is, the Law, the authorized Word of God, and its Prophetical and Rabbinical developments, was man's supreme duty. "If thou hast learned much Torah, ascribe not any merit to thyself, for therefor wast thou created." Man was created to learn; literature was the aim of life. We have already seen what kind of literature. Jochanan once said to his five favorite disciples: "Go forth and consider which is the good way to which a man should cleave." He received various answers, but he most approved of this response: "A good heart is the way." Literature is life if it be a heart-literature—this may be regarded as the final justification of the union effected in the Mishnah between learning and righteousness.